Are you ready for an unforgettable adventure solo or with your loved ones? If you are, Northern Australia is the place to visit. Spend your much-awaited holiday here and experience plenty of fun activities. The Northern Territory is home to the great outdoors. Whether you are looking for watersports, wildlife adventure, or any exciting activities, there is always something for you. 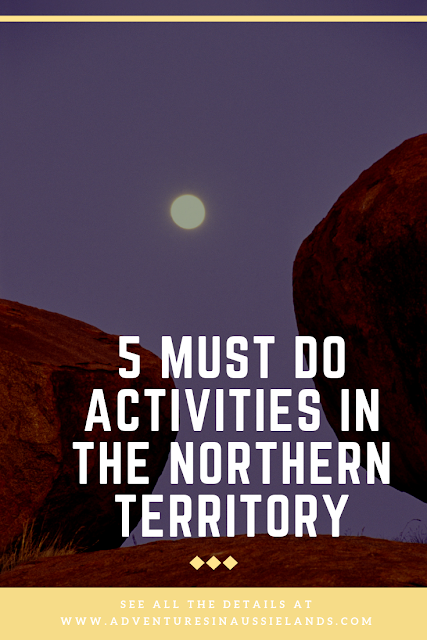 In this post, we look at some of the most exhilarating things you should try when in Northern Australia. Prepare yourself for a spine-tingling activity at the Red Centre. If you are ready to jump out of a plane, then go skydiving over Uluru. You will witness the bird’s eye view of the Rock as you free fall as well as see the breathtaking views of Lake Amadeus, Kata Tjuta, and Mount Connor from 12,000 feet. This is one experience we guarantee that you will never forget. Nothing beats cooling off under a lovely waterfall on a steaming hot day. Chase the waterfalls of Top End and have a memorable day with your family or friends. You can book a one-day trip from Darwin going to Litchfield National Park’s Tolmer Falls, Florence Falls, and Buley Rock Hole. This is going to be a great experience as you get to relax, even for a short while, and at the same time appreciate the beauty of nature. Never miss the chance to experience Kings Canyon by air! Take a helicopter flight and have an aerial tour of the Garden of Eden, Carmichaels Crag, and domes of the Lost City. This adventure will surely take your breath away and give you a one-of-a-kind experience you will treasure all your life. So, don’t forget to include this in your itinerary when in Northern Australia. If you want a unique activity to try, then go croc-spotting in Katherine Gorge. There are plenty of crocodiles here, which are known to be an icon of Northern Australia. To see these creatures up close, you can join an evening boat tour along the lower Katherine River. The guide will light a fire on the riverbank to lure the crocodiles for some incredible photographs. Of course, fishing couldn’t be left off this list when in Northern Australia. The Land Down Under is an angler’s paradise. If you are into fishing, then this is the ideal place for you. There are approximately 40,000 marine species available, and some are only found here. It is never a waste of time to go fishing in Australia, so definitely add it to your bucket list! Northern Australia is a fantastic destination for all thrillseekers out there. Try these activities we have above, and we guarantee that you will have the best time of your life. This place never disappoints so plan your trip ahead of time, research some tours and make the most out of every moment. I would really love to visit Australia! Everything looks so nice! These are some serious spine-tingling activities! I went skydiving once in Maine during the fall when all of the leaves were golden, red, and bright orange. It was just a spectacular view. I can only imagine the view of Australia as you slowly drift down with a parachute. Sometimes I wish I still had my daredevil streak! The views over the water is amazing. I would love to just relax there all day. I love these guides that make me dream about places I hope to visit as soon as possible! I would love to visit australia! a very long road trip there! skydiving must be so much fun indeed! All of these sound like a blast! I need to get to Australia one day. I would love to go see waterfalls. Australia is somewhere I would love to visit one day, these sound like some amazing things to do and see. I bet seeing the canon from the air would be breathtaking. My MIL is from Tazmania and we have relatives in Melbourne. My husband has visited Aust. but I never have! It's a dream of mine to visit Australia one day. I've heard it's beautiful. I just love NT more than anything else. It is one great place to consider visiting. People there are very nice as well. I love visiting waterfalls because the cool water if you’ll swim there is so refreshing. That place sounds really amazing! All of these sound amazing! Australia is definitely on my list of places that I would like to travel to at some point in my life. I want to visit Australia so badly! I'll have to put some of these ideas on my "someday" wish list. I can't wait to visit Australia someday and these would definitely be places I'd like to go. Wow! I am getting in love with that view and in the place to! Actually, we are planning to visit Australia and this blog is very helpful to know more about that place. All of those sound like awesome things to do. The one I probably wouldn't risk doing is the skydiving. It sounds great and I love the view but I'd probably pass out while doing it. Not a good thing. Australia is definitely a beautiful place and i would love to go there. Thanks for sharing this post. There isn't anything quite like camping under the Southern Cross in this remote area of the world.